The lawsuit, filed Monday in Boston’s federal court, says Sterling Suffolk Racecourse would have prevailed over Wynn Resorts had there been an “honest competition.” Instead, Wynn Resorts fixed the application process and concealed Wynn’s sexual misconduct to illegally secure a license for the Everett casino that’s scheduled to open in June, the lawsuit alleges. Wynn resigned as chairman and chief executive of Wynn Resorts in February, and the company renamed its casino from Wynn Boston Harbor to Encore Boston Harbor after sexual misconduct allegations surfaced against him. Wynn denies the allegations. 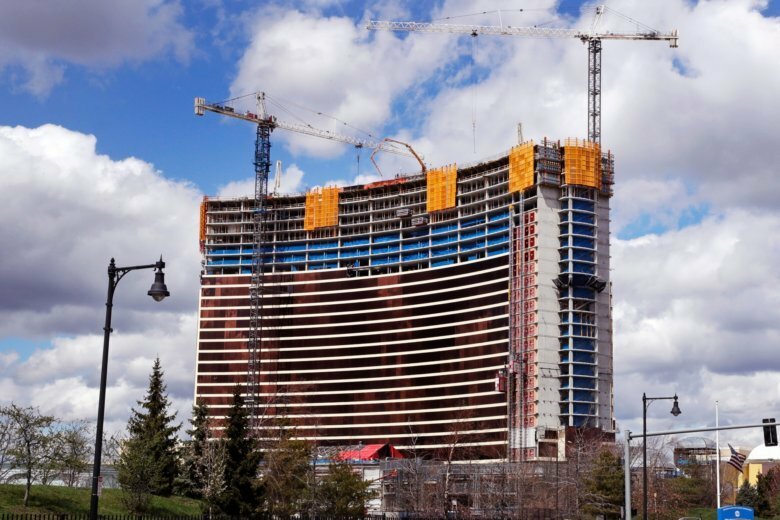 Wynn Resorts said in a statement Tuesday that the claims are frivolous and it will mount a vigorous defense. It says that the Suffolk Downs race track was “by far the best suited location” for a casino, noting that the Wynn casino is being built at the site of a former Monsanto chemical plant. “The Wynn Defendants were granted a license to operate their casino on a toxic waste site loaded with levels of arsenic still so high that a child day care center would not be permitted to be housed there, even after the site was remediated and the regulations amended to countenance higher levels,” says the lawsuit, which alleges Wynn broke racketeering laws. Sterling Suffolk says Wynn Resorts’ actions hurt its company to the tune of more than a billion dollars. Sterling Suffolk sold Suffolk Downs last year for “dramatically less” than had it won the casino license, the company says. A lawyer for Sterling Suffolk Racecourse didn’t immediately respond to an email Tuesday. In January, the Massachusetts Gaming Commission launched a review of Wynn Resorts’ suitability to continue holding its casino license after the sexual misconduct allegations against Steve Wynn. The probe is expected to wrap up shortly. An investigator for the commission has said information about the $7.5 million settlement with one woman was kept from Massachusetts officials during an initial background check of the company and its principals in 2013. In May, the commission agreed to a request that Wynn’s name be removed from the license in Massachusetts. Wynn’s lawyer argued his client no longer had a financial interest in or a business relationship with his former company following his resignation. The panel, however, said it would continue investigating Wynn Resorts and its handling of the sexual misconduct allegations.